Read: What are Bath Salts? Chemicals sold as “Bath Salts” are not bath salts used in a tub, but toxic drugs whose effects are unpredictable. Many of the substances in these drugs were banned in the U.S. because of their harmful effects, and dealers use Bath Salts and other names to get around the law. They are also falsely advertised as “plant food,” “jewelry cleaner,” “phone screen cleaner,” and labeled “not for human consumption” to escape arrest by law enforcement. Bath Salts don’t refer to any single drug, but rather a group of similar substances, chemically-made versions of a type of drug found in the Khat plant, an evergreen shrub from East Africa and southern Arabia. In the same way that Spice and K2 are referred to as synthetic marijuana, Bath Salts are referred to as synthetic stimulants. They can also cause hallucinations like that of LSD. 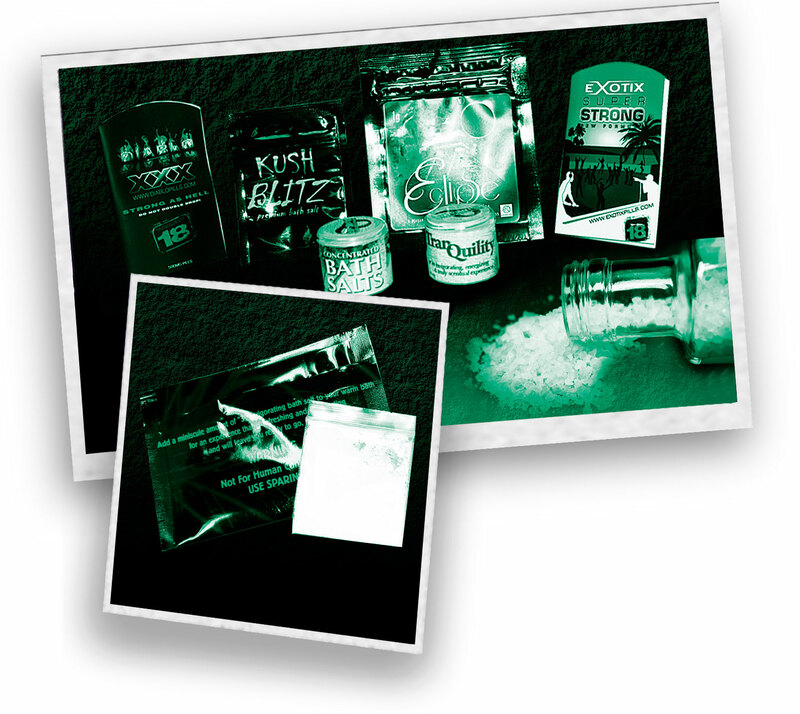 Bath Salts often contain a varied mix of chemicals, so even if the packaging looks the same, one never knows what the product actually contains. It is usually sold in powdered form in small plastic or foil packages. It can be white, off-white, yellow or brown and may also be sold in capsules or tablets, or in small jars in liquid form. Users have reported snorting or injecting it, or mixing it with food or drink. This can include “bombing” it (swallowing it wrapped in cigarette paper), taking it rectally, inhaling it using a vaporizer or smoking it.